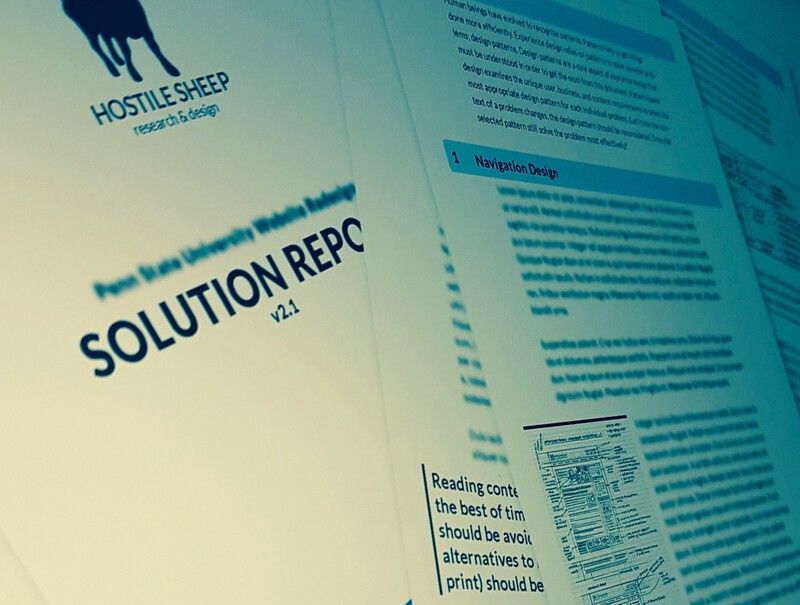 Hostile Sheep spent 6 years refining a revolutionary approach to experience design. We don’t believe in a perfect test or perfect design; Hostile Sheep strives to get in front of real users as quickly as possible. In some cases, as quickly as one week. We focus on identifying needs then defining experience design standards. 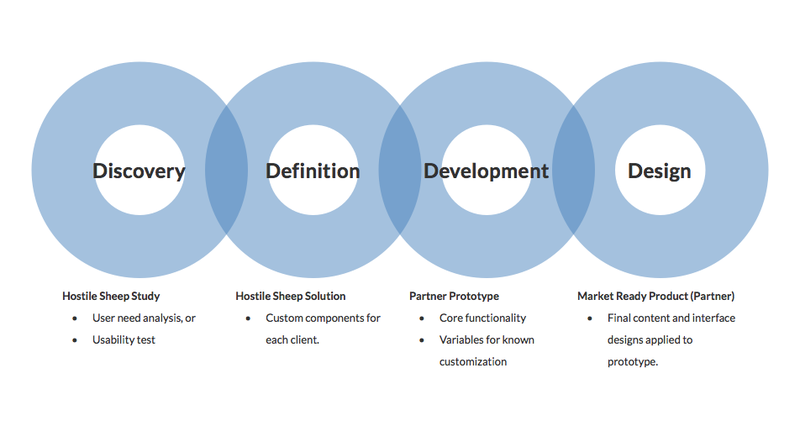 Our new consulting service Hostile Sheep On-Call allows our team to stay involved throughout the entire project, to see the product make it to market. Interviews are either conducted with users or business stakeholders. We prefer 1-1 interviews, but conduct focus groups when appropriate. We’re experts in both qualitative and quantitative surveys. We have a standard process for creating, deploying, and analyzing surveys. A cost-efficient form of research. When a product already exists, conducting usability (or user) testing can be a great way to identify needs. We have extensive experience conducting all sorts of usability testing. In addition to the methodologies outlined above, Hostile Sheep also offers analysis-only studies when data is already available. These studies include competitive analyses, environmental scans, heuristic evaluations, swot analyses, search optimization reviews, and Google analytics evaluations. 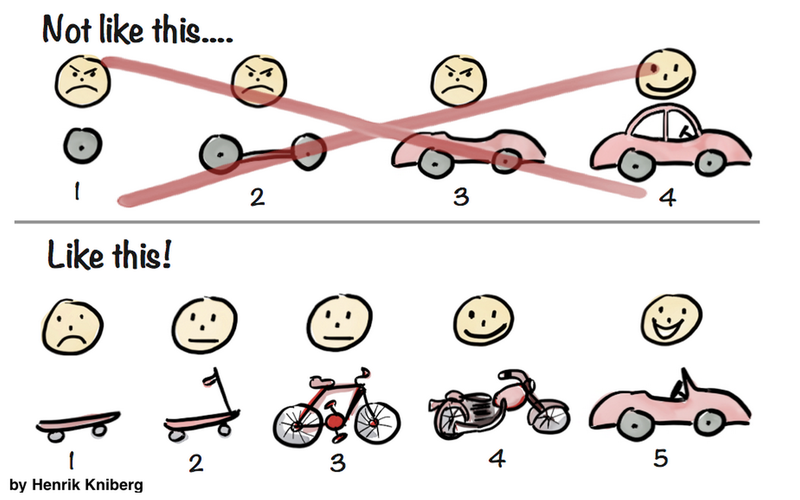 The lowest level of fidelity deals with systems, journeys, and model-design. We define the product vision, service blueprints, product roadmaps, success criteria (KPI and OCR), and personas or profiles. 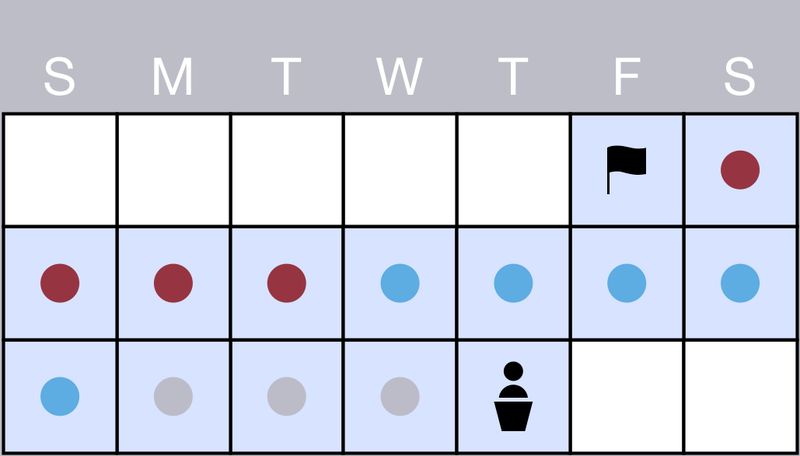 Strategic design relies on existing user research, testing, and data. We focus on developing a pattern-based design system that serves as a foundation for governing the evolution of a digital product. 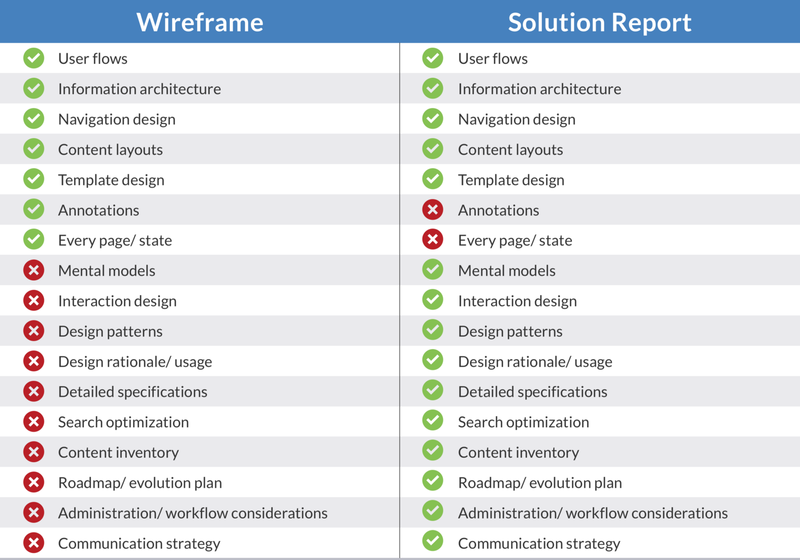 We use this system to build a selection of wireframe pages and options. We equip our clients with everything they need to evolve their product as need change. Sometimes a design system and wireframes just aren’t enough. 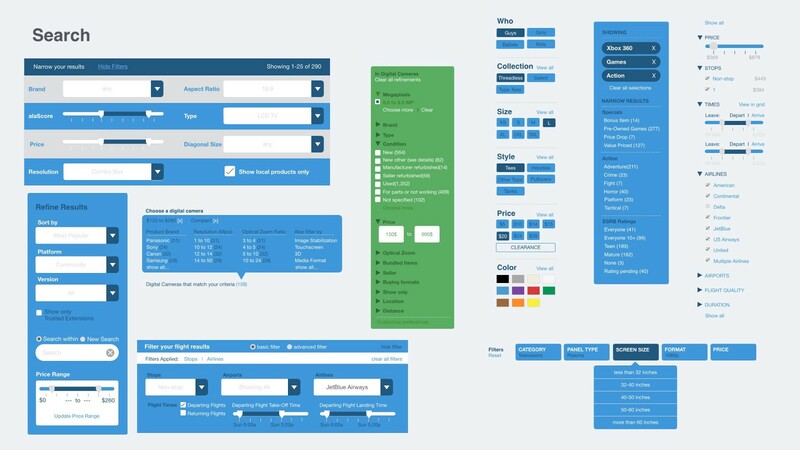 Once we have a design system and wireframes, we have the resources to produce a comprehensive prototype (static or clickable) in as little as one week. These include functional annotations or a functional specification. Our flexible consulting approach allows our clients to ask for our opinion or participation on almost any aspect of a product design project. While our studies and standards deliver a solid foundation, our on-call blocks allow us to be called-in to make updates, make additional presentations, brief down-stream teams, and participate in the graphic design, software development, and deployment processes. On-call blocks are used and invoiced on an as-needed basis; if we don’t use approved blocks, we will not invoice for them. Ask us why your users are behaving the way they are. We’ll evaluate the available data and either provide you with a detailed explanation and/or a recommended approach to determine user behaviour. Ask us what we think about your designs, tests, research plans or product strategies. We’ll give you our expert opinion that you can use to help inform and support your decisions. Ask us about new and different approaches to questions and problems. 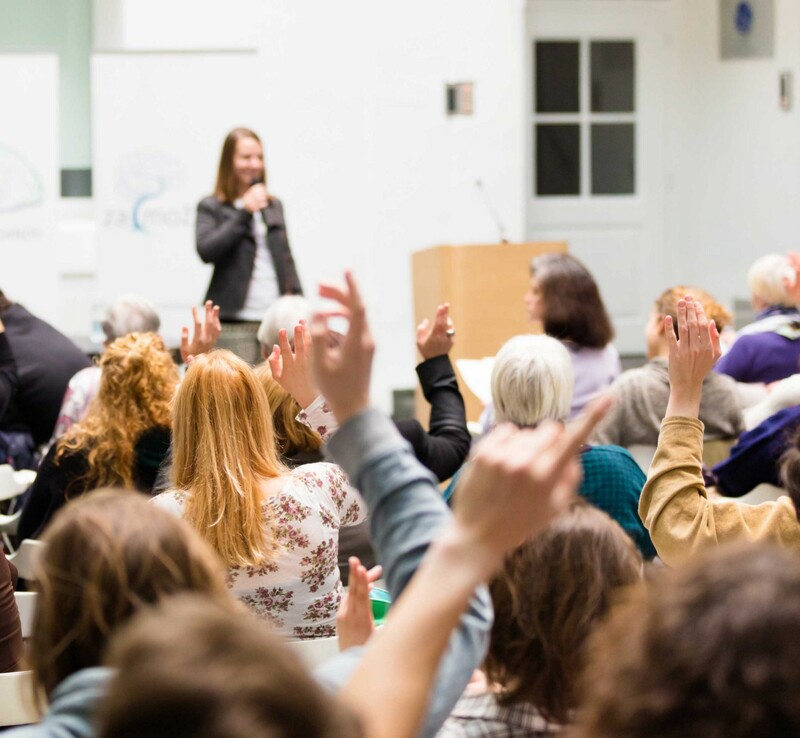 We’ll explore various avenues and document viable approaches and ideas you can use for inspiration or implementation. We write a proposal for every project. If you’d like to hear how we can help your unique situation, request a proposal. It’s totally free with no commitment. Here are some of our ideas, work, and news.